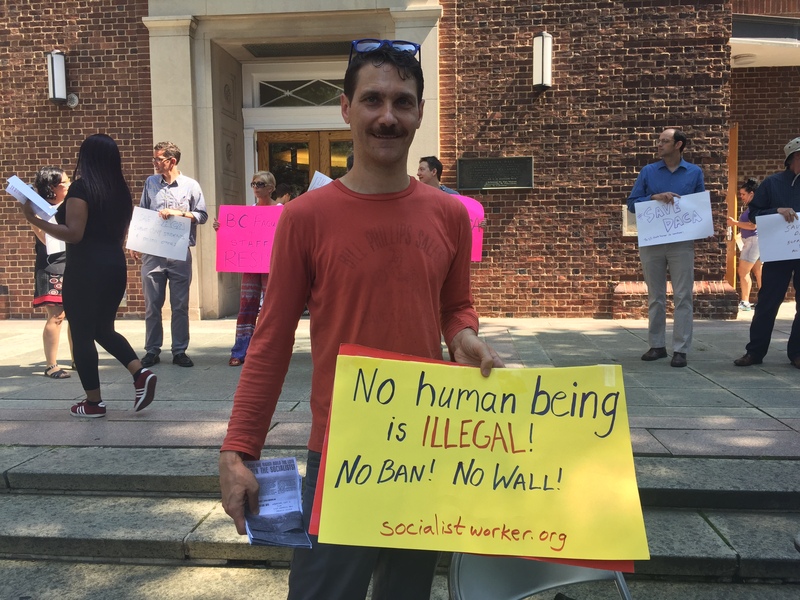 The front entrance of the Brooklyn College library was filled with students, faculty, and staff, who all gathered in protest last Tuesday, September 5th at 12:30 p.m. against President Donald Trump’s decision to end Deferred Action for Childhood Arrivals (DACA). DACA policy, which was put into play by President Barack Obama in 2012, allows individuals who entered the United States when they were under the age of 18 to apply for a renewable two-year deferral from deportation, as well as the opportunity to apply for a work permit. DACA protects approximately 800,000 aspiring immigrants, referred to as Dreamers, from deportation. Tuesday’s announcement marked the end of the program, and no new DACA applications will be considered. Recipients with a permit that will expire before March 5th, 2018 are eligible for a two-year renewal.